We source our ingredients from around the globe and prepare them in the most authentic way to serve the best pizza possible. Our dough is made with flour from one of the oldest mills in Italy. It undergoes a 24-hour fermentation process, and our oven is calibrated specifically for its moisture content. Our red sauce is made with Bianco DiNapoli tomatoes, organically grown and steam peeled. And our cheese is supplied by Grande in Wisconsin, handcrafted from milk harvested fresh daily. Buon appetito!!! Our revolutionary self-serve beer system allows you to experience beer in a whole new way. Pour an ounce or enjoy a pint, taste a dozen or stick with a favorite. This cutting edge system allows you to create your own beer experience. Choose from a rotating selection of seasonal beers from our favorite brewers. Slice was inspired by a trip we took to Italy. Everywhere we went, whether it was the rural countryside of Tuscany or the bustling epicenter of Rome, people gathered, people talked, people interacted. And it required so little: a comfortable space and a little commonality. Laguna Beach was originally an artists’ colony, and to this day maintains an intellectual vitality that lends itself to neighbors gathering and sharing ideas. Slice nurtures that sense of community. It is a place to unwind, hang out, catch up with your neighbors, and meet new neighbors. Pay For What You Pour - Each beer and wine is priced by the ounce. You only pay for the ounces you pour. Feel like another but not sure you want a whole glass? Pour yourself a half. Explore & have fun. No Waiting - You're in control. No waiting for a bartender or server. What you want, when you want. 1. Check in and get a bracelet with a chip in it. 3. Tap your bracelet to the tablet to unlock it. 5. Drink, enjoy and repeat. Order ahead and skip the line. ​Call: (949) 715-3993 or click here. Trying to raise money for your organization, sports team, school or other good cause? 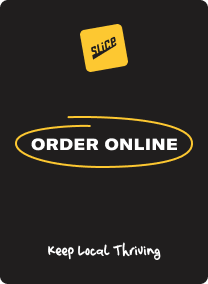 Slice cares. We can hold a fundraiser for your group and it's simple.